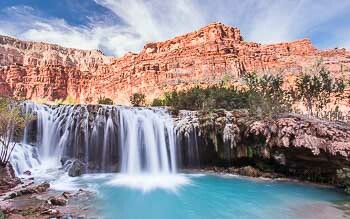 Grand Canyon National Park is packed with adventures. Hiking, biking, rafting, camping, dramatic viewpoints, scenic flights — Grand Canyon has it all. But it can be a very overwhelming place. Without proper planning, you’ll miss out on the best the park has to offer. Most people drive to Grand Canyon, stare over the rim, and wonder what to do next. One of the most extraordinary places on earth and they missed it! Don’t overlook the best of Grand Canyon National Park! I’ll show you how to plan an amazing vacation filled with unforgettable experiences. Use the information below for initial trip planning. 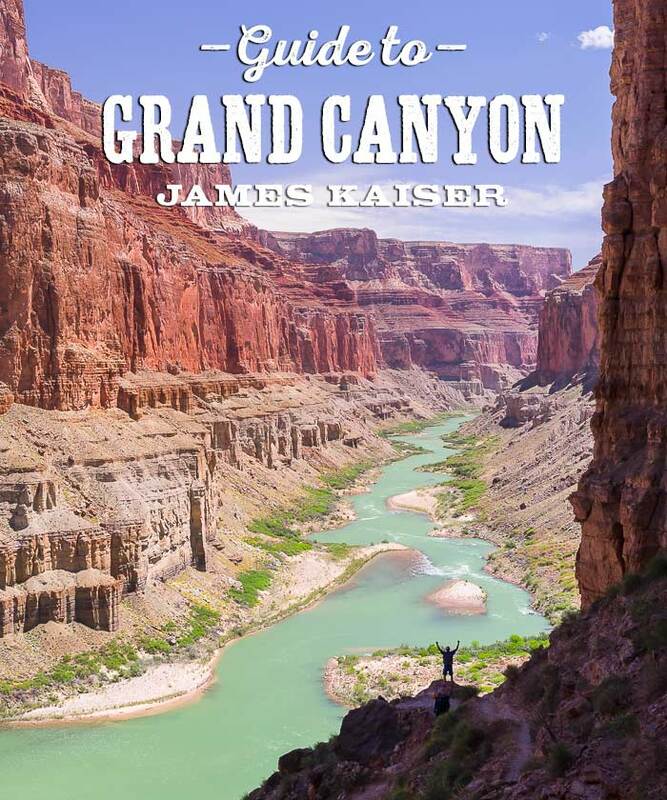 For an insider guide filled with detailed travel tips, check out my full-color guidebook Grand Canyon: The Complete Guide. There’s no bad time to visit, but knowing what to expect throughout the year will help you plan the perfect trip. Whether you’re driving from Las Vegas, Phoenix, Flagstaff or Albuquerque, I’ll show you the best routes — and what to see along the way. 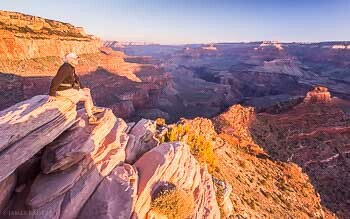 One of the best ways to experience Grand Canyon is to visit an amazing viewpoint. Here’s my guide to the best overlooks. It’s easy to find peace and quiet with these simple tips. Hiking, mule rides, river trips — Grand Canyon is filled with outdoor adventures. The only question is what not to do. From summer thunderstorms to winter snow, learn about the Canyon’s seasonal weather. Be prepared and pack the right gear. Amazing photos from one of the most incredible places on earth. Explore the scenery above and below the rim! Discover the best hotels and historic lodges, both in the park and nearby towns. 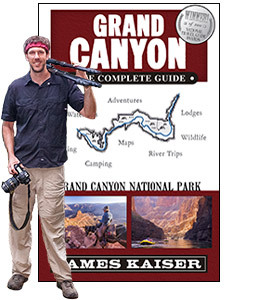 Complete camping guide to South Rim campgrounds. 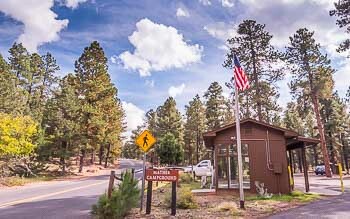 Complete camping guide to North Rim campgrounds. Discover the best places to camp at the bottom of the Canyon. This massive side canyon is home to a series of stunning blue waterfalls. Learn about the powerful geologic forces that created one of earth’s most incredible sights. The panorama from the rim is one of the most impressive sights in the world, but Grand Canyon National Park is much more than just a pretty view. 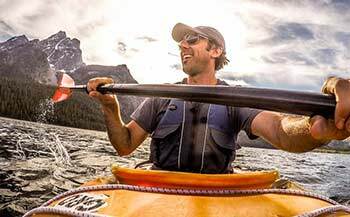 Hidden within its depths are fascinating animals, geologic marvels, the ruins of an ancient civilization, and some of the best outdoor adventures in North America. Cut by the Colorado River over the past six million years, the Canyon is a colossal labyrinth of towering buttes and deep side canyons. Although massive, most visitors head to one of two developed areas: the South Rim or the North Rim. The South Rim, located two hours north of Phoenix, is by far the more accessible and popular of the two. Home to six of the park’s eight lodges, it’s what most people think of when they think of Grand Canyon. The North Rim is located just south of the Arizona/Utah border — one of the least densely populated regions in the United States. Its remote location means fewer crowds, but equally stunning views. Hiking trails descend from both rims to the bottom of the Canyon. Along the way they pass though 11 layers of ancient rocks, ranging in age from 250 million to nearly two billion years old—almost half the age of the Earth! At the bottom of the Canyon, near the junction of three popular trails, lies Phantom Ranch, an overnight lodge offering comfortable beds and home-cooked meals. Guided mule trips are also offered along several Grand Canyon trails, and both day and overnight trips are available. Twisting through the bottom of the Canyon is the Colorado River. Fed by Rocky Mountain snowmelt before slicing through the deserts of Utah and Arizona, the Colorado is the most impressive river in the West. Although currently plugged by dams along much of its length, the Colorado flows free in the Canyon, dropping 2,000 feet in 277 miles. Over 20,000 people embark on river trips through the Canyon each year. In addition to 60 thrilling rapids, river trips provide access to spectacular hiking trails, stunning Indian ruins, and gorgeous waterfalls. 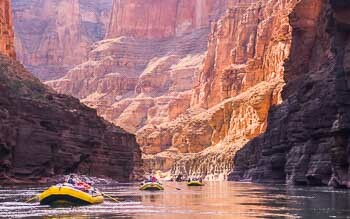 Without question, a river trip through Grand Canyon National Park is one of Earth’s most incredible outdoor adventures.